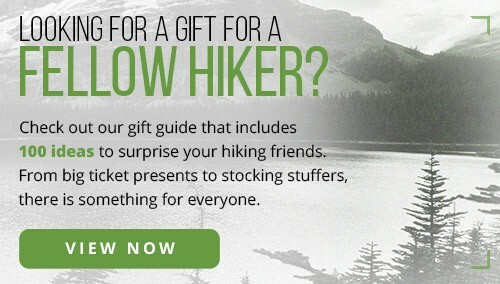 You’ve been hiking for years but life has changed and there’s a new baby in your family. And, you’re wondering, how can I hike with a baby? 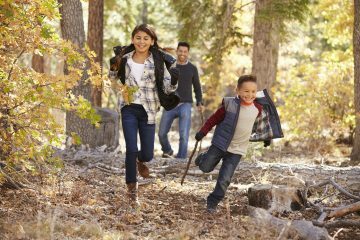 Of course – it’s actually never been easier to take the whole family outdoors. 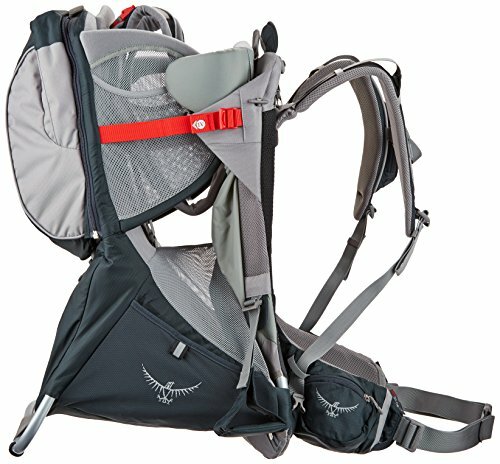 You just need to find out what the best baby carrier for hiking is for you based on your needs. Gone are the days of stiff, oversized carriers. 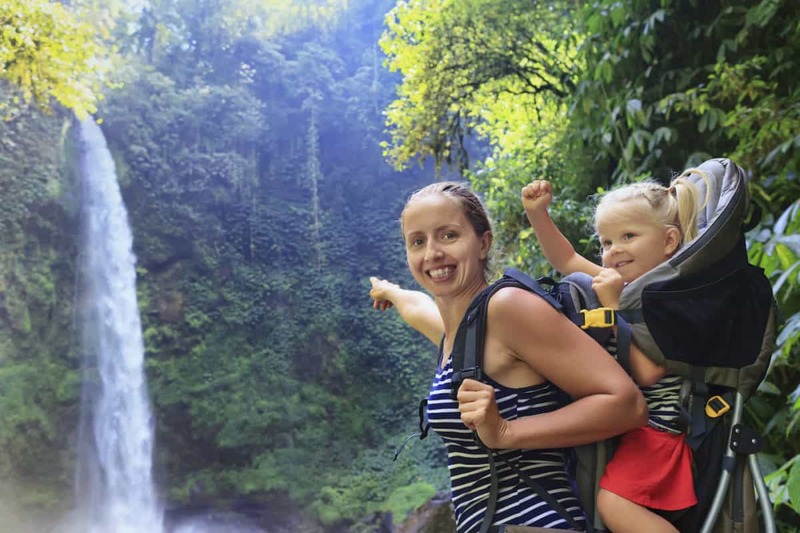 There’s a variety of hiking baby carriers to choose from that are safe and convenient ways to get your baby to enjoy nature. Modern ones are built to evenly distribute the weight on you to ensure you’re comfortable as well as you’re climbing those hills. 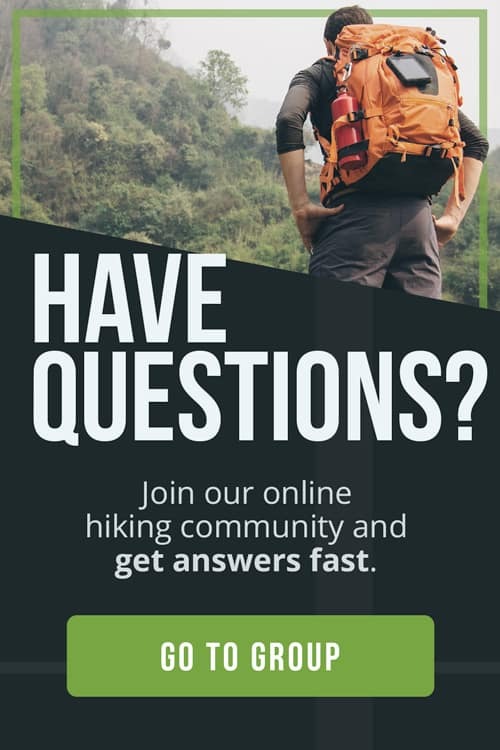 Here at The Adventure Junkies, it’s our goal to help make the research process easier for you. 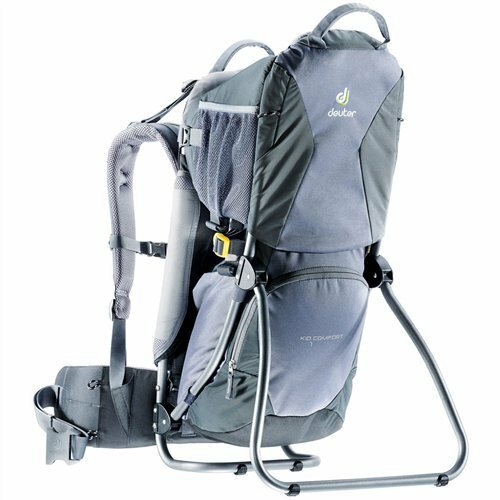 This guide will help you figure out which hiking baby carrier is right for you. How big your baby is will be one of the first factors you’ll want to look at when purchasing a baby carrier. Some carriers are front loading and can hold babies that are only a few months old securely on your chest. 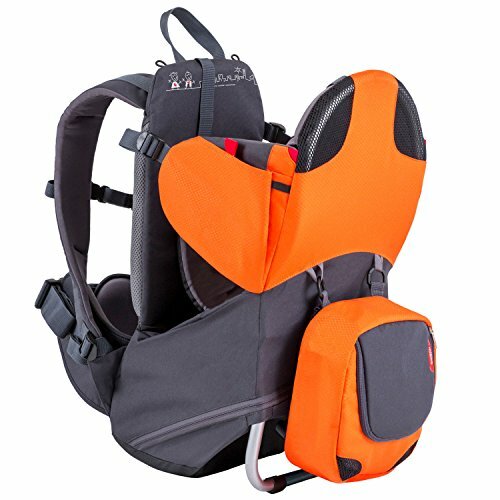 If your baby is larger, you’ll want a more supportive carrier where the child sits in the back. 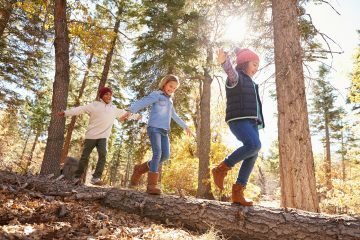 The majority of carriers only hold children up to 40 lbs (18 kg), so keep this in mind if your child is right on the edge. It might make more sense to wait until they can walk on their own. 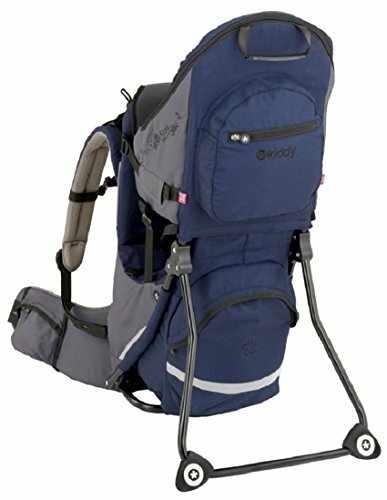 Lightweight carriers are great for day trips or when you’re not trekking too far. They’re easy to fold up and take up the least amount of room in your car. 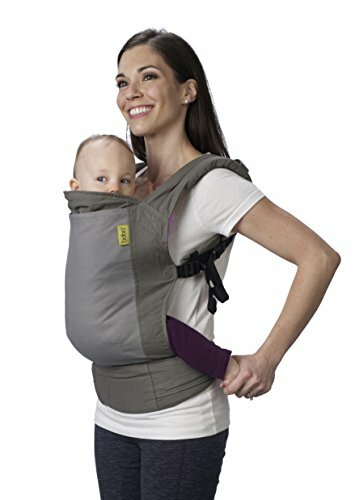 While they don’t have much storage room, a light weight carrier will hold your baby securely to you. 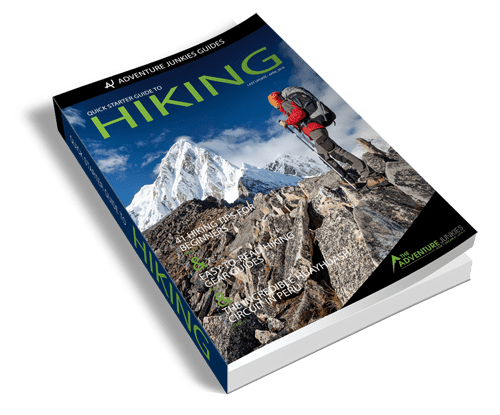 If you’ll be hiking for an extended period of time or over rough terrain, a larger carrier would be more fitting. This will make sure both you and your child are comfortable with all those miles you put in. 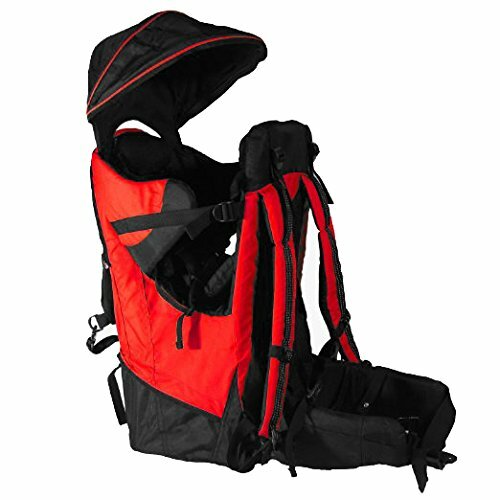 Softshell carriers work well for smaller children who are less than a year old. They also tend to be lighter and less expensive than hard shell carriers. 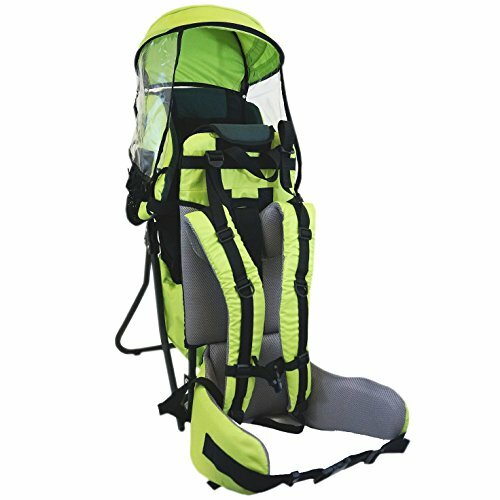 Hardshell carriers will be much more long lasting. Another advantage is you’ll be able to carry larger children. They’re more supportive so you can travel farther and more comfortably. How much storage you’ll need depends on how long you’re going for. If it’s a short day trip, you might just need to fit your keys, phone, water, and a few snacks. Most carriers will have enough room for those essentials. 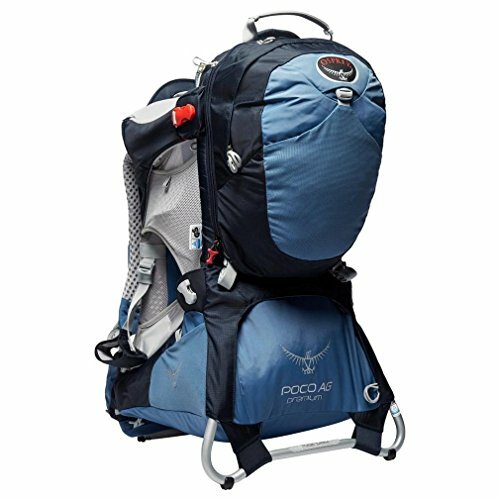 If you’ll be gone for an extended period of time, you’ll want a carrier that can double as a baby carrier and a decent day backpack. 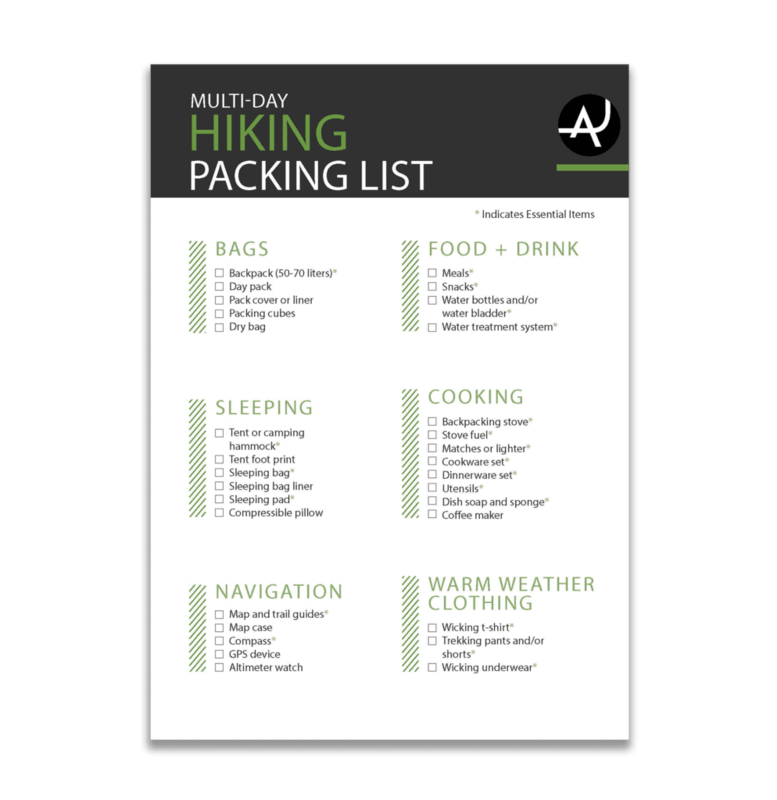 Extra water, food, and layers will need to fit in your carrier depending. 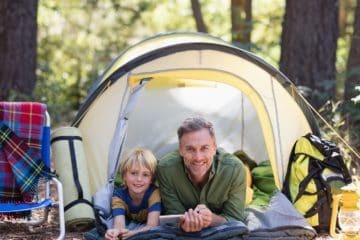 If you’re planning an overnight trip, your hiking partner will need to carrier a larger backpack. Many larger frames have a metal stand so you can easily set the carrier down without it tipping over. 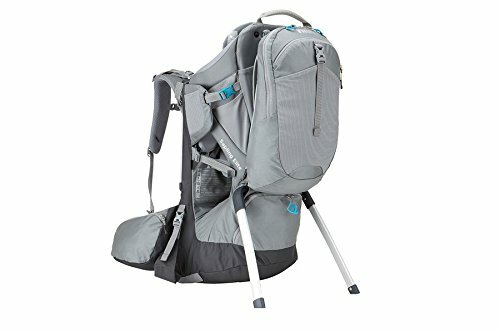 If you’re traveling by yourself, this will be a helpful option since you don’t have someone else to take the baby while you adjust your gear or take pictures. It also provides a bit more stability than a lighter frame that doesn’t have a stand. Some carriers come fully assembled and ready to use, but they don’t fold up. If storage space isn’t a problem when packing for your trip, these are convenient to use. If you plan on car camping or have a small car you’ll want a fold-up carrier. While many are still sturdy, they have the advantage of folding up to save room in your car. Before choosing a carrier, you’ll want to consider if your child has the ability to support themselves on their own. There’s a big difference in a baby that weighs 10 lbs (4.5 kg) and can’t hold up their head versus a child who’s almost 40 lbs (18 kg) and can walk on their own. Be sure your young baby’s head is supported. Otherwise, they can experience pain and potential injuries.